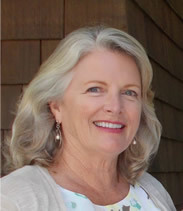 Councilwoman Sylvia Overby is in her second term of office as a member of the East Hampton Town Board. Elected for her first term in 2011, Sylvia previously served her community for a 7-year term on the Planning Board, four years as its chair. Sylvia and her husband have lived in Amagansett for 31 years where they raised their two sons. Sylvia has a Bachelor of Science degree from Emory University. She taught Middle School, was a manager for Macy’s, and was a partner in a small business. An environmental advocate, Sylvia is dedicated to protecting our fragile natural resources as well as historic preservation.